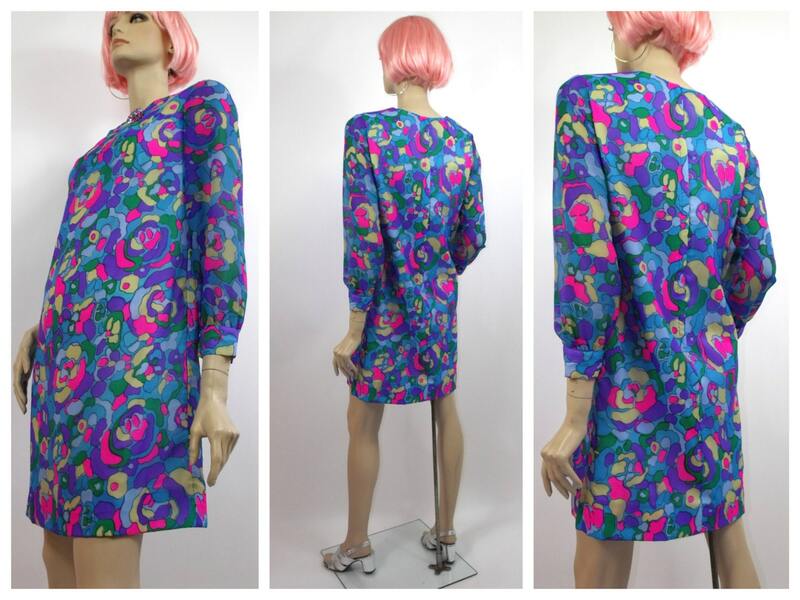 Super fun mini dress circa 1960's is in very good vintage condition. 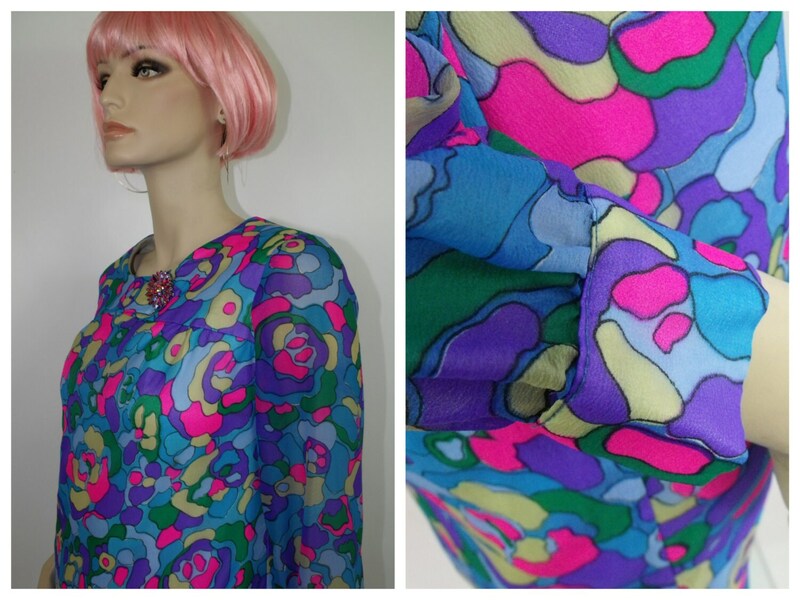 Lovely vibrant summer dress ready for the patio season! All measurements are taken with dress laying flat. Please allow ease and know your own measurements to assure a proper fit. FITS AMERICAN SIZE 6 to 8 DEPENDING UPON DESIRED EASE. This dress should have a loose fit. 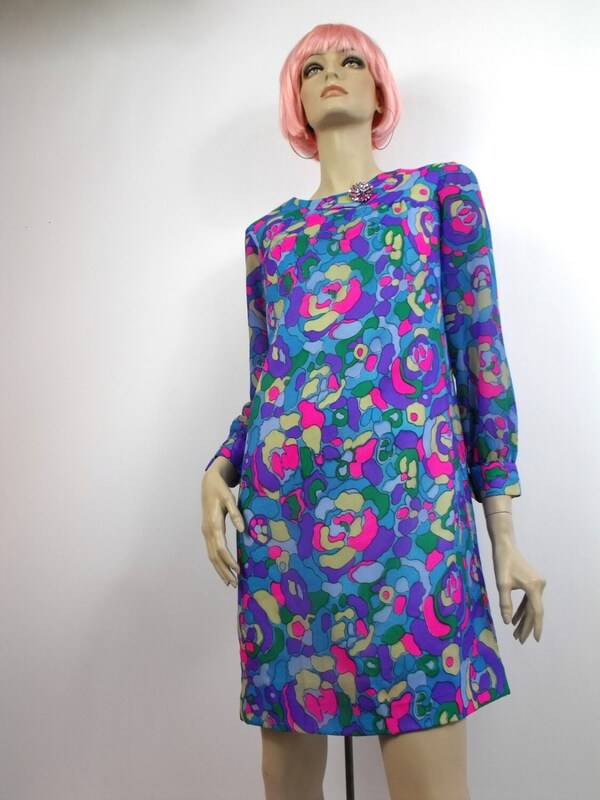 BUST (underarm to underarm): 38"
SLEEVE LENGTH (nape to cuff): 30"
DRESS LENGTH (nape to hem): 33.5"